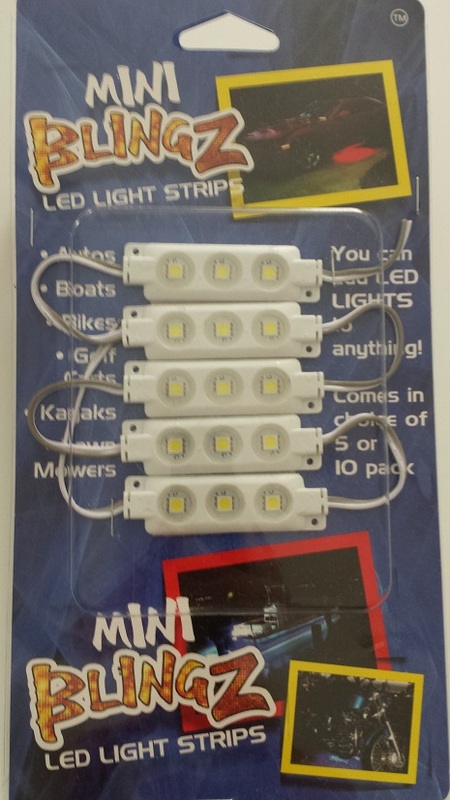 Mini-BlingZ - (5) LED Module pack Our LED modules run on 9 - 12 volts DC and are both waterproof and submersible. 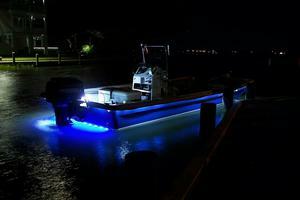 Mini-BlingZ are a great way to light up your ride or anything you want to accent with LED lights, decks, coolers, walkways, hardscapes, outdoor kitchens, docks, piers, sea walls....the possibilities are endless. 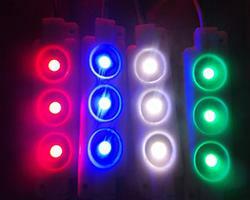 BlingZ can run off batteries or wired to our 110 volt AC to 12 volt DC converters. If you can dream it we can light it, BlingZ are also available in bulk quantities for those larger projects and come in (4) standard colors red, white, blue and green. For multiple colors please create a separate order for each color. CLICK MORE INFORMATION to see our BULK BlingZ for larger projects!